Um, goodness me. Reddit user bfx_drew, the publicity person for Bitfinex, appears to have admitted that Tethers are being released, not based on people buying Tethers … but “people converting other cryptos into USDT”. (Archive.) Surely there must be some mistake. In the meantime, Bitcoin hasn’t quite cracked $10,000 on the CoinDesk index. 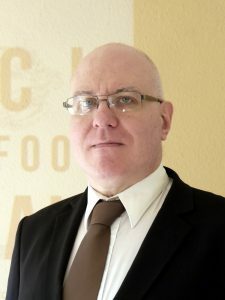 At this point, it’s clear that Bitcoin makes sense and is the currency of the future. Also, 1929 will definitely last forever. Bitcoin futures aren’t going live on CME on 11 December. The date was posted in error. With Bitcoin volatility over 15% a day, “CME will not allow the trading of bitcoin futures at prices 20 percent above or below the settlement price from the previous day.” Everyone is sure that a regulated exchange offering futures on a ridiculously manipulated commodity price will end well. At least for /r/buttcoin readers in search of comedy gold. A nice blog review of the book, by David Pelayo. 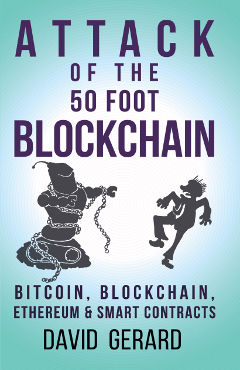 Today I saw the worst pirate copy I’ve seen of any book, and it was of mine: the very first version of the ePub of Attack of the 50 Foot Blockchain, rendered as JPEGs, put into a PDF. I was tempted to DMCA it just on grounds of good taste. I emailed them a better ePub — if you’re going to bootleg me, at least do it well.